In the wake of — well, everything that’s happening right now in the United States; but most specifically, the Trump administration’s efforts to impose a ban on Muslim travel and restrict rights for other immigrants — community organizers and educators are organizing a national AAPI Week of Action for the week of October 7 – 14th. 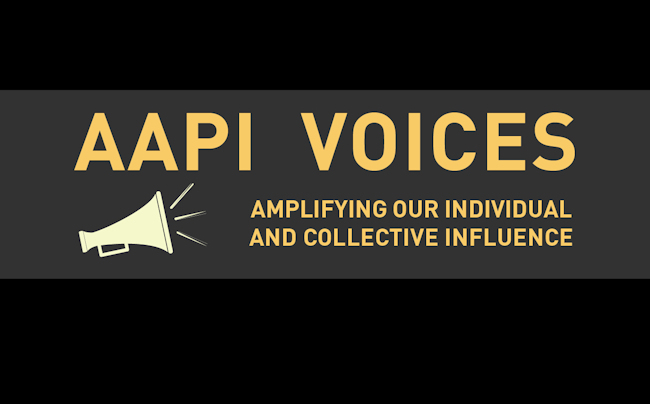 Under the banner of AAPI Voices, organizers are hoping that community activists across the country — and particularly student activists — will pledge to host an event focused on social justice and solidarity with national anti-racism movements. Some ideas for events include teach-ins, rallies, letter-writing campaigns, Wikipedia edit-a-thons, fundraising events, and more. Regardless, if you are an organizer, an activist, or even just someone hoping to get involved in someone else’s event, please check out the sign-up page here. Register before October 1st to be entered into a raffle for cool prizes! Also, don’t forget to share your involvement through the hashtag #AAPIAction. Full text from the call for participation after the jump. A photo uploaded to Instagram of bloggers boarding the #ABCTVEvent bus, which included a showing, and cast meet-and-greet for “Fresh Off The Boat”. Fresh Off The Boat‘s debut this week has rocked the Asian American blogosphere to largely rave reviews (read my review). It has spawned hundreds of thinkpieces, many written by Asian American television viewers ecstatic to see themselves, their families, and their experiences included, for one of the first times, among the lineup of primetime television sitcoms. Sadly, it seems that at Disney-ABC, this new commitment to diversity extends only as far as investing in a single 22 minute television show; when it comes to marketing and community outreach, the corporate powers-that-be have been seriously dropping the ball. A week before Fresh Off The Boat premiered, some (former) marketing intern tweeted a bizarrely offensive graphic depicting stereotypical caricatures of people of colour beneath the headline “we’re all a little fresh off the boat” (picture after the jump). Now, the folks behind Fresh Off The Boat are in hot water again for another marketing misstep related to the sitcom. Last month, Disney-ABC (the parent television group that oversees both Disney and ABC Television products) invited a bunch of people to an all-expenses paid trip to Los Angeles (#ABCTVEvent) to preview and meet the cast and crew of five shows and movies — including a number that intersect with the identities of communities of colours such as Fresh Off The Boat, Big Hero 6, and McFarland USA. 24 bloggers — many of them mommy bloggers — were flown out to participate in this invitation-only junket; not a single one was Asian American.